"I woke up and put this on." Plaid skirts are definitely becoming a thing in San Francisco. Hooray for mavens. I'm also digging how her outfit (unintentional, probably) follows the lines of Dior's New Look. 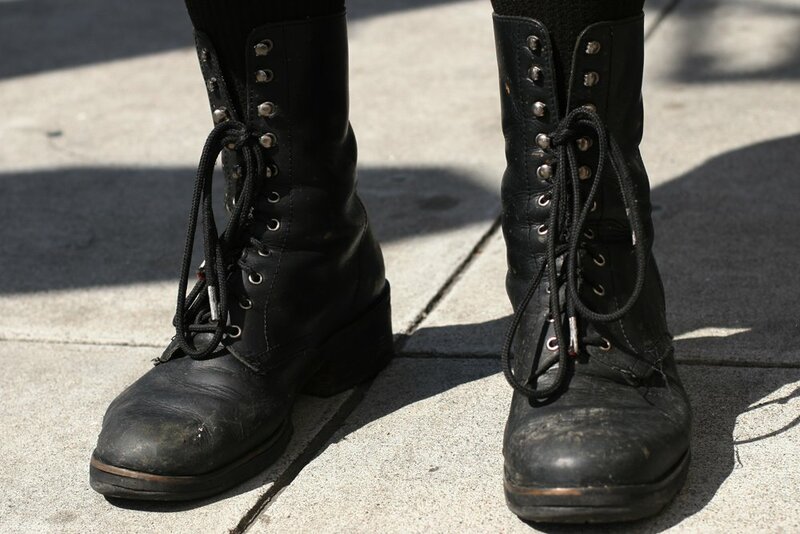 A look at her militaristic boots. 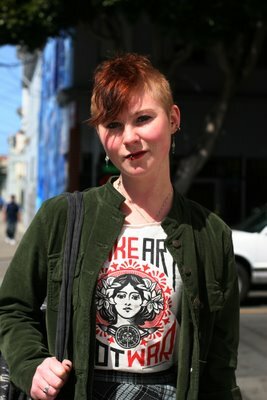 that Shepard Fairey shirt is great. ilove it. nice light and composition, Mai. i'm impressed.